New Year’s Eve with Mala Rodriguez – WIN TICKETS!! 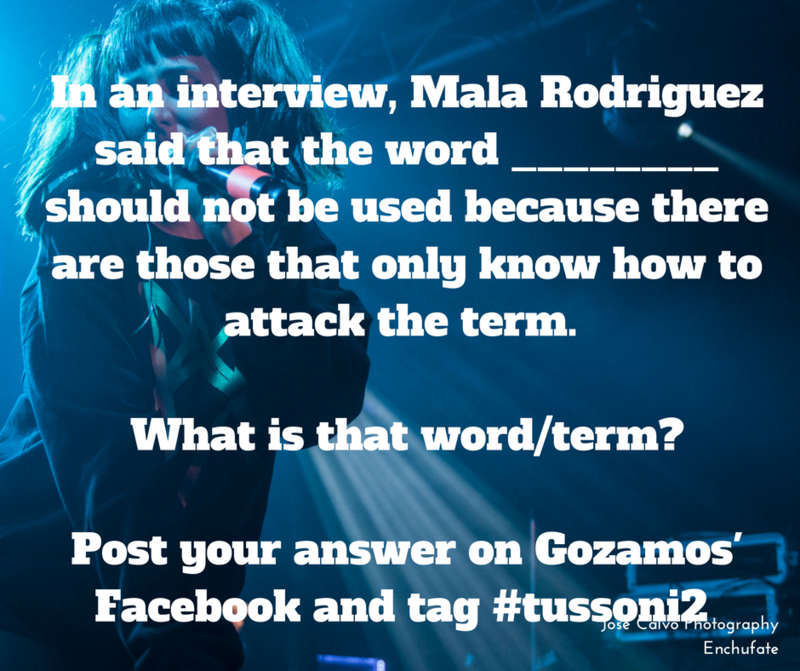 Mala Rodríguez is known in the global hip hop circuit as one of the genre’s most innovative and recognized contributors. She will be in Chicago on Saturday, Dec. 31 celebrating New Year’s Eve with a performance at Concord Music Hall. Thanks to Tussoni2 and Goose Island Beer Co., we have a pair of courtesy tickets for one lucky winner. Tickets are available here. We’ve decided to do this via a quick little contest and all you have to do is leave the answer in the comments below or post it on our Facebook page. Winner will be announced and notified by 5PM (CST). Good luck! Mala Rodriguez is the first solo female artist to win Best Urban Song and Best Urban Album at the Latin Grammy Awards and also boasts collaborations with the likes of Nelly Furtado, Julieta Venegas, Akon, Calle 13 and many more. As 2017 approaches, Rodríguez continues her work as one of the world’s most potent and thoughtful lyricists. A new album and associated world tour is in the works. Supporting Rodríguez will be Chicago selecta duo, The Ponderers, who have championed a history in the city based on the promotion of female-fronted music and Latin-inspired beats. Alongside them, Future Rootz will be bringing their own strain of unique, percussion-centered world music.